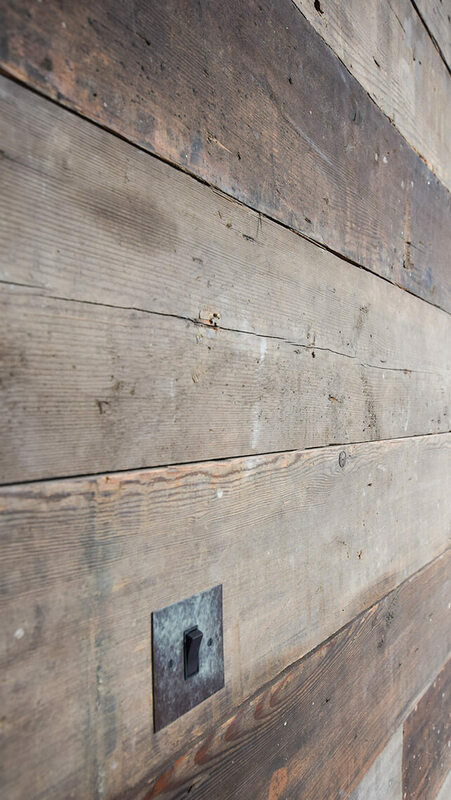 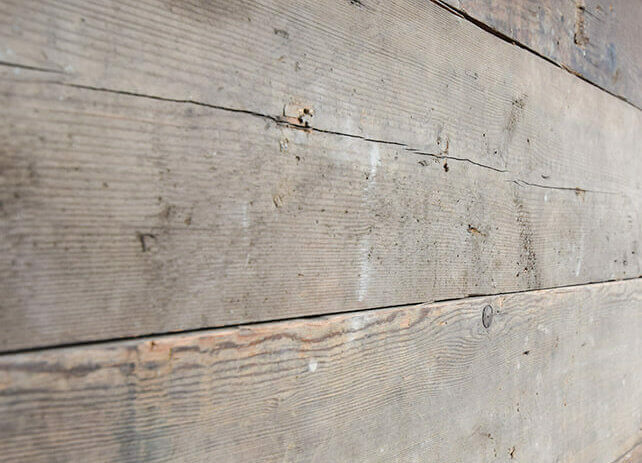 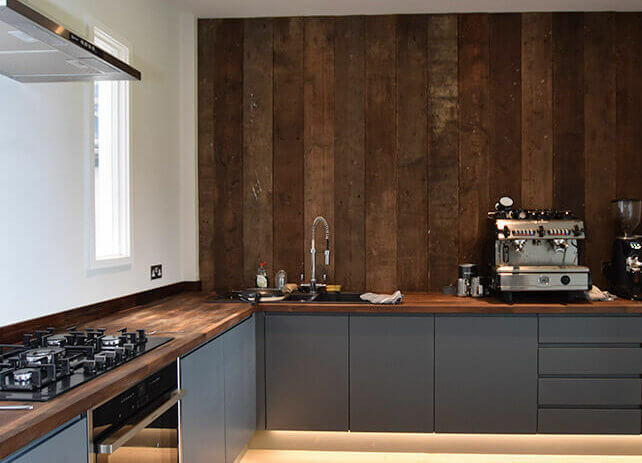 A wall covered in reclaimed wood can add texture and warmth to a space. 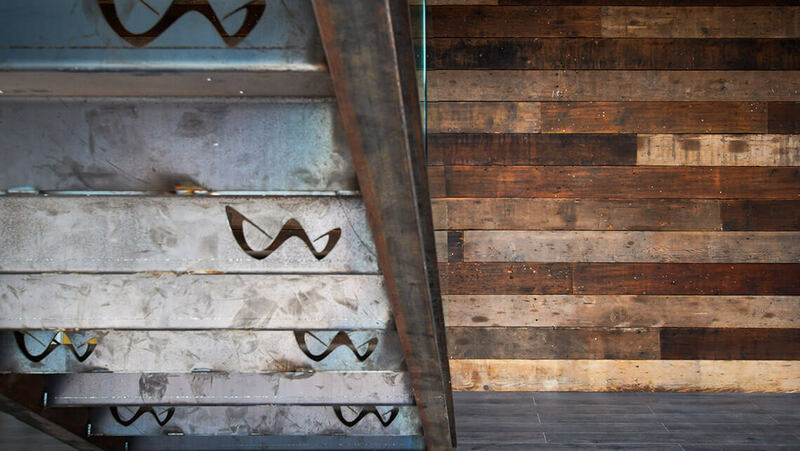 It is also a way to reuse or repurpose material left over from old, time-worn buildings filled with history and character. 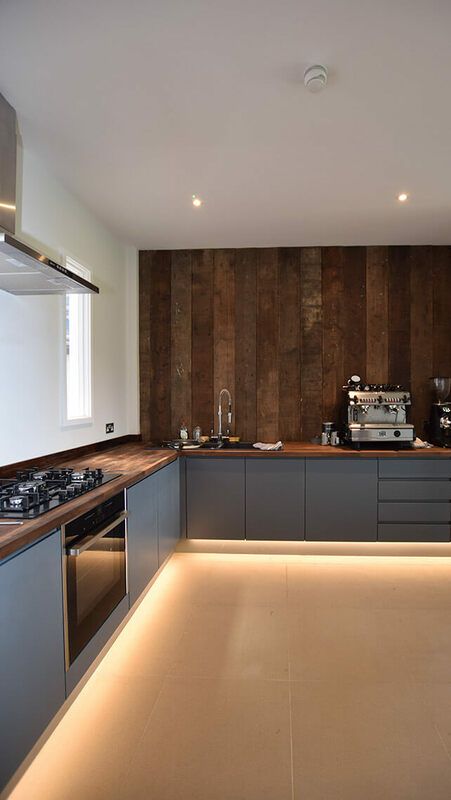 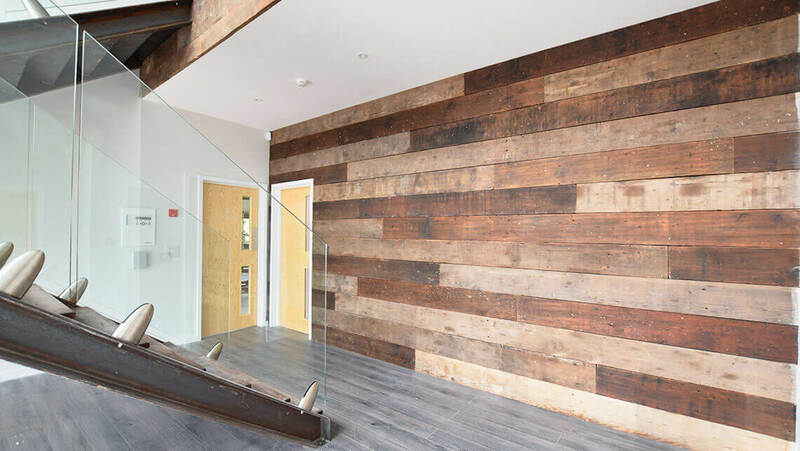 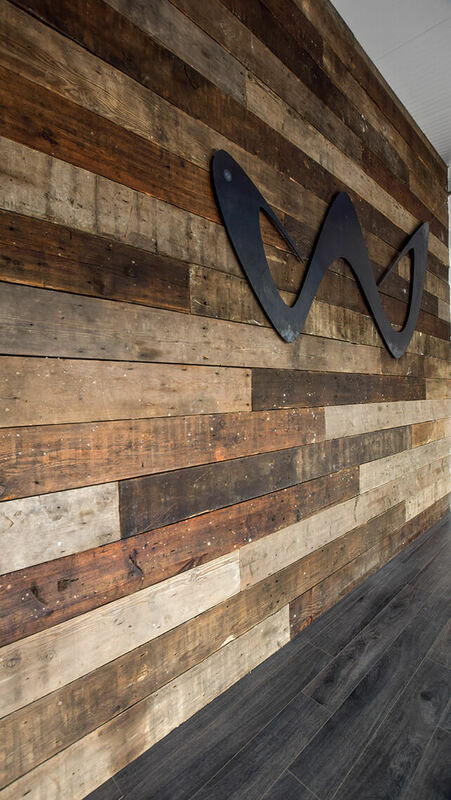 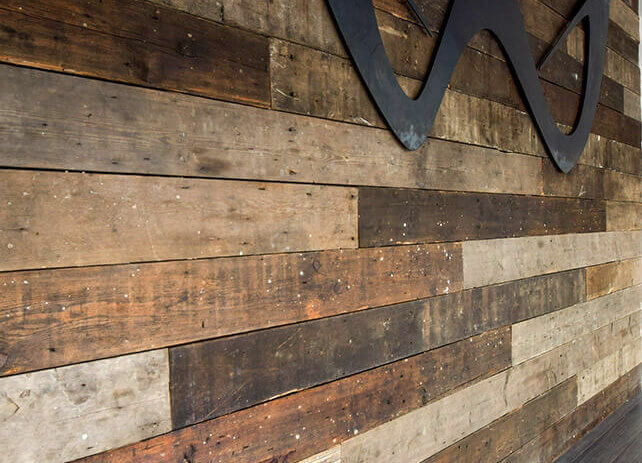 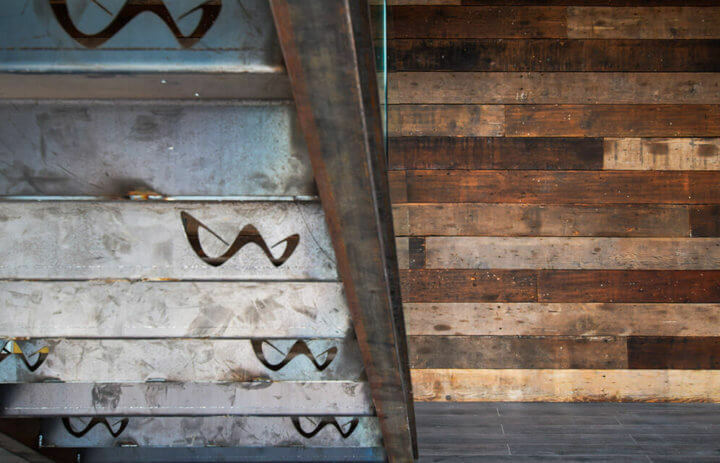 This Warehouse Douglas Fir cladding used on the stairs and feature walls of the new Watsons Gym headquarters really ties together the industrial-meets-rustic theme.